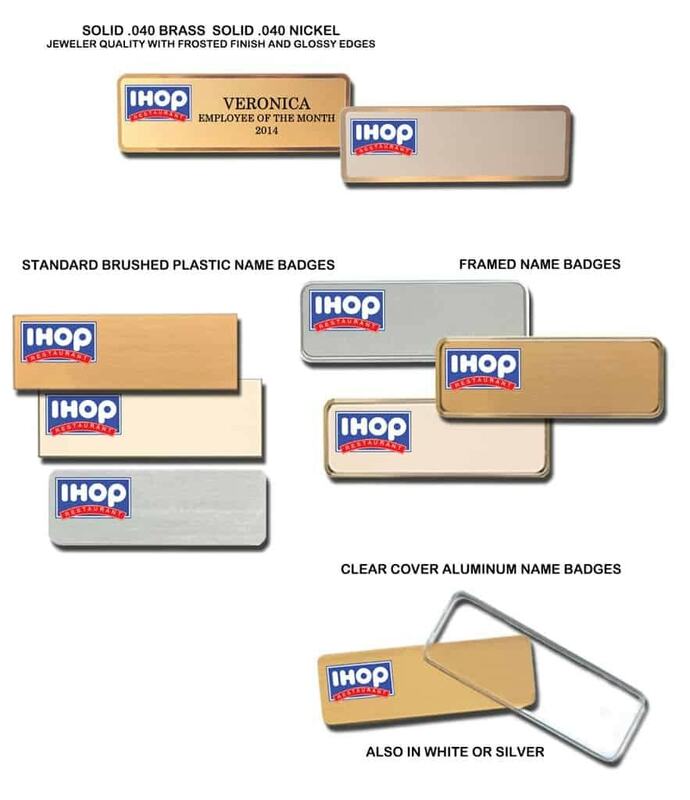 Pictured below are samples of logo name badges we’ve done for Ihop Restaurants. Our name badges are available as standard plastic name badges, clear cover name badges, framed name badges or solid metal. All name badges may be ordered with or without name engraving. Orders typically ship within 24-48 hours upon receipt. By Name-badges.com Inc.